Lots of people love the birds in their garden, writes Katy Sweall, but it’s rare for that affection to be reciprocated. One young girl in Seattle is luckier than most. 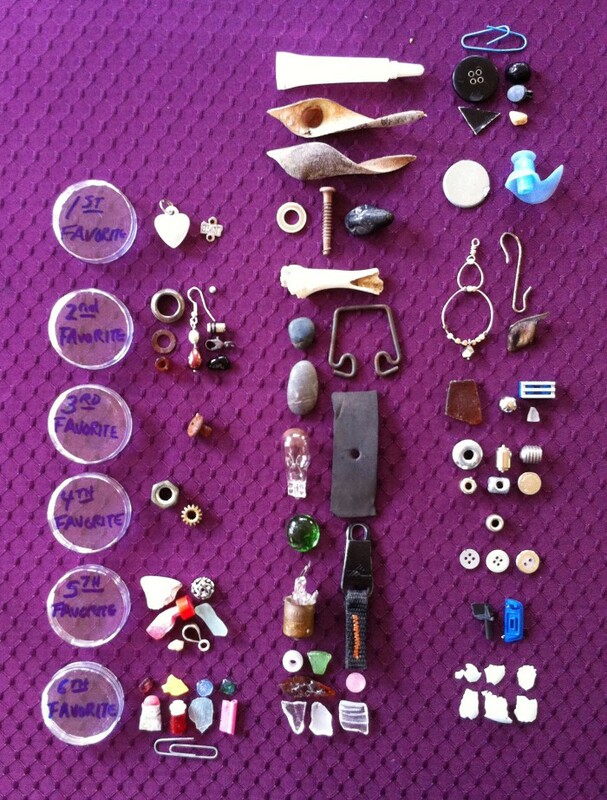 She feeds the crows in her garden – and they bring her gifts in return. “You may take a few close looks,” she says, “but don’t touch.” It’s a warning she’s most likely practised on her younger brother. She laughs after saying it though. She is happy for the audience. 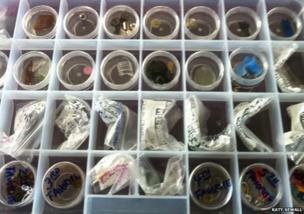 Inside the box are rows of small objects in clear plastic bags. One label reads: “Black table by feeder. 2:30 p.m. 09 Nov 2014.” Inside is a broken light bulb. Another bag contains small pieces of brown glass worn smooth by the sea. “Beer coloured glass,” as Gabi describes it. Each item is individually wrapped and categorised. Gabi pulls a black zip out of a labelled bag and holds it up. “We keep it in as good condition as we can,” she says, before explaining this object is one of her favourites. There’s a miniature silver ball, a black button, a blue paper clip, a yellow bead, a faded black piece of foam, a blue Lego piece, and the list goes on. Many of them are scuffed and dirty. 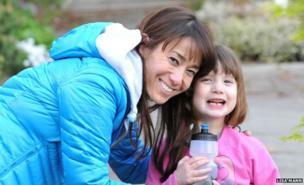 It is an odd assortment of objects for a little girl to treasure, but to Gabi these things are more valuable than gold. She didn’t gather this collection. 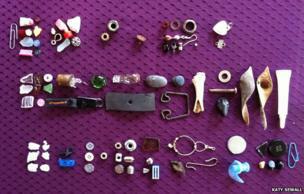 Each item was a gift – given to her by crows. Gabi’s relationship with the neighbourhood crows began accidentally in 2011. She was four years old, and prone to dropping food. She’d get out of the car, and a chicken nugget would tumble off her lap. A crow would rush in to recover it. Soon, the crows were watching for her, hoping for another bite. As she got older, she rewarded their attention, by sharing her packed lunch on the way to the bus stop. Her brother joined in. Soon, crows were lining up in the afternoon to greet Gabi’s bus, hoping for another feeding session. It was after they adopted this routine that the gifts started appearing. The crows would clear the feeder of peanuts, and leave shiny trinkets on the empty tray; an earring, a hinge, a polished rock. There wasn’t a pattern. 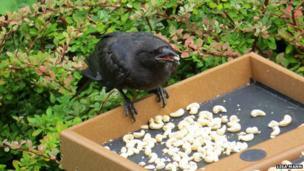 Gifts showed up sporadically – anything shiny and small enough to fit in a crow’s mouth. One time it was a tiny piece of metal with the word “best” printed on it. “I don’t know if they still have the part that says ‘friend’,” Gabi laughs, amused by the thought of a crow wearing a matching necklace. When you see Gabi’s collection, it’s hard not to wish for gift-giving crows of your own. “If you want to form a bond with a crow, be consistent in rewarding them,” advises John Marzluff, professor of wildlife science at the University of Washington. He specialises in birds, particularly crows and ravens. Gabi has been given some icky objects. Her mother threw out a rotting crab claw, for example. 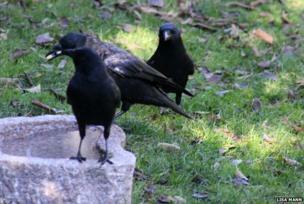 Lisa, Gabi’s mom, regularly photographs the crows and charts their behaviour and interactions. Her most amazing gift came just a few weeks ago, when she lost a lens cap in a nearby alley while photographing a bald eagle as it circled over the neighbourhood. She didn’t even have to look for it. It was sitting on the edge of the birdbath. This entry was tagged birds, crow, real-life, story.